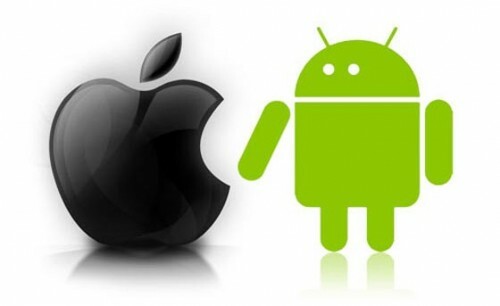 With the iPhone 5 release date all but certain to be somewhere in September (recent rumors have pegged the exact date to be September 12), analysts are already expecting it to strengthen Apple’s position… And Android phones are already starting to feel it as early as now. Research firm Strategy Analytics recently shared their findings on Wireless Smartphone Strategies. The study reveals that Android phones, overall, continue to dominate the US and European markets but that its share of the smartphone pie has significantly dropped over the last year. According to the report, Android’s market share dropped from nearly 61% to just 56% in the United States. In comparison, Apple’s iOS continued to increase its share and rose by 10 points, from 23% to 33%, within the same time period. Analysts are already expecting this trend to continue especially as the iPhone 5 release date nears and that Android phones may even have challenges in maintaining their market share in the 50% range. Aside from the iPhone 5, rumors point to several other Apple devices debuting in September including the 7-inch iPad Mini, a new iPod and a 13-inch Macbook with Retina display.